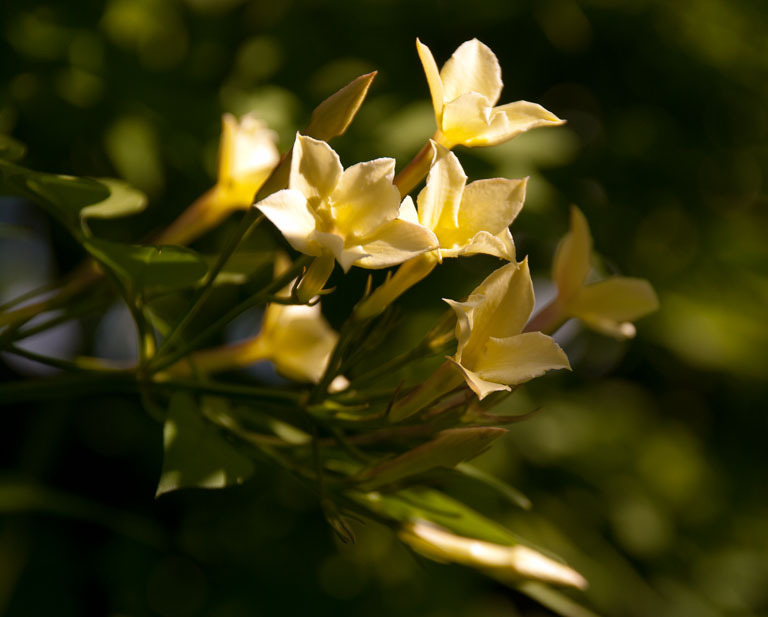 In between the showers last weekend I sat out in the garden and one of the best plants out there at the moment is the Jasmine ‘Clotted Cream’ (Jasminum officinale ‘Clotted Cream’) on the fence next to our sitting area. It’s covered in flowers and the scent is amazing. 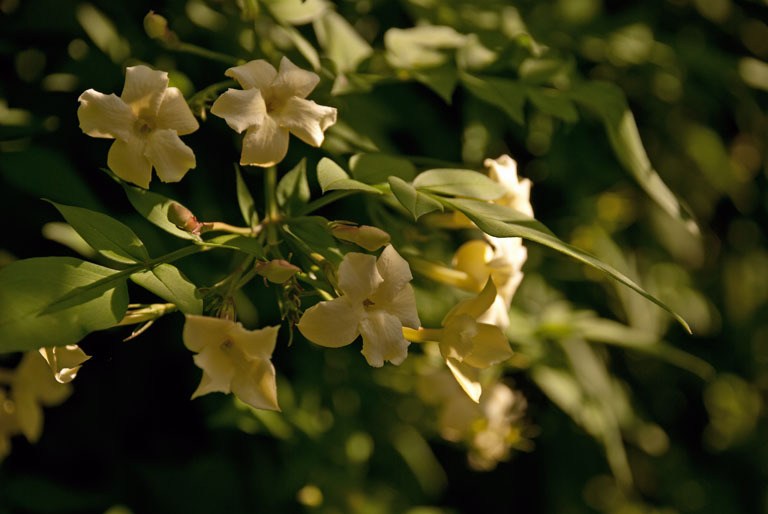 Jasmine is a fast growing deciduous climber that works well on a fence, wall or climbing up through a tree. It will reach 8m if allowed to scramble but I try to keep mine in check so that it covers the fence only. ‘Clotted Cream’ has gorgeous creamy coloured flowers that are richly scented, especially in the evening when the sun is starting to go down. It’s great planted close to a pathway or sitting area where the smell can really be enjoyed. 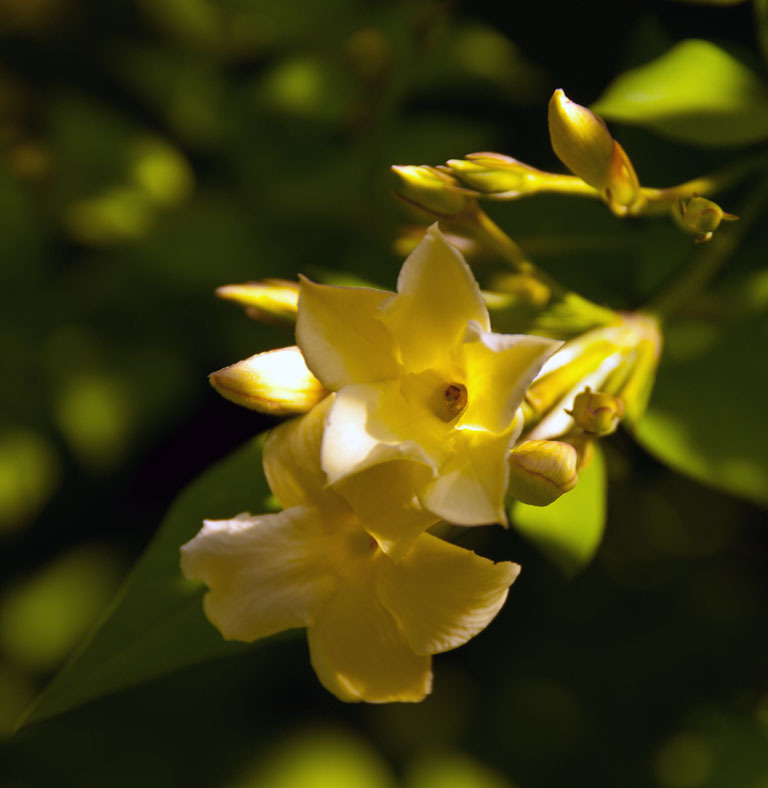 Jasmine can be grown in any soil, but prefers it to be reasonably well drained. They need a sheltered spot with a south or west facing aspect, ideally in full sun which will bring out the scent of the flowers. They can cope with semi-shade as long as the soil is well drained. They’re easy to look after too. Mine has been established for a few years now and it doesn’t take much effort to trim back any unruly stems when it has finished flowering. Often at some point over the winter I tie in the newest growth – it’s just much easier to see what I’m doing when the leaves are gone. Do you have any star performers in your garden at the moment? 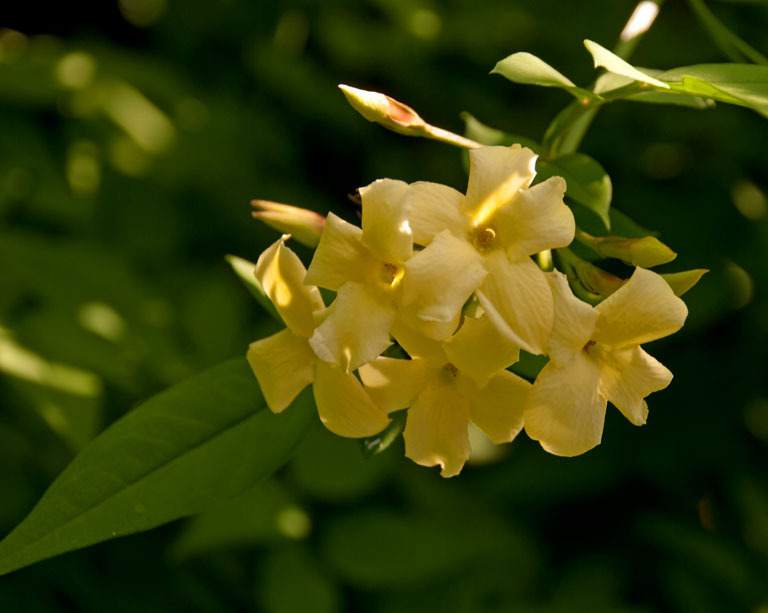 Thanks Charles – Jasmine pictures were taken in my garden so I’m assuming that your reference to Wisley was from a different post. Anyway, thanks for nice comments – will look out for new lawns next time I’m there.